Motivation & Goal Setting is course run by Pitman Training Centre (Sligo), Sligo. It is a 'Blended - Mix of Classroom & Online' course with a duration of Full and/or part-time options available - flexible training. Motivation & Goal Setting gives a Course Qualification of Certificate, awarded by Pitman. For more information about Motivation & Goal Setting at Pitman Training Centre (Sligo), please review the details below. We all know theres nothing as demoralising as setting yourself a goal and not achieving it. If you want to push yourself out of that rut, this course is a great way to get you thinking about the way you work and how to maximise your efficiency through realistic goal setting and motivational techniques. 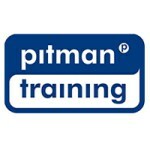 The Motivation & Goal Setting course at Pitman Training Centre (Sligo) is listed in Courses.ie's national courses finder. Entry Requirements This is a great course for anyone keen to work towards a managerial position such as Team Leader, Supervisor etc. For information about Pitman Training Centre (Sligo), please visit our Colleges page on Courses.ie by clicking here.